Buy 25 or more: OUR PRICE: $7.36 Save More! Buy 100 or more: OUR PRICE: $7.03 Save More! 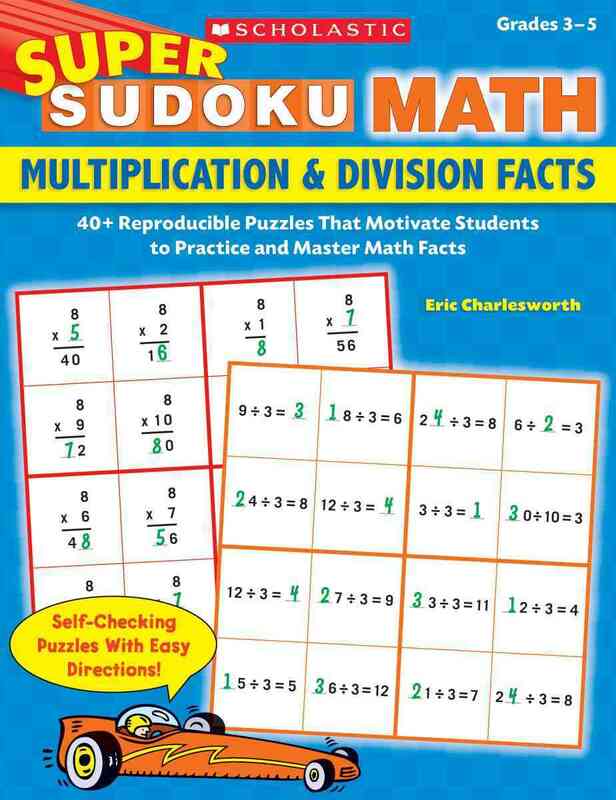 Capture studentsâ€™ interest and motivate them to practice and master basic facts using the popular puzzle sudoku. The puzzleâ€™s self-checking format lets students know when theyâ€™ve aced their addition and subtraction facts. Includes practice for key skills, such as simplifying fractions, working with improper fractions and mixed numbers, and multiplying and dividing fractions and decimals. For use with Grades 3â€“6. - Mathematics; Study and teaching (Elementary); Activity programs.